If there is one thing that defines the 21st century, it is the end of oil. But not just oil. Over the coming decades, we face the prospect of terminal depletion of the world’s major mineral energy reserves, with major ramifications for the future of industrial civilization. A survey of about a hundred of the world’s most respected petroleum geologists by the Association for the Study of Peak Oil found that the vast majority expected world oil production to peak between 2010 and 2020. Furthermore, it found that “the ‘peak’ is more likely to look like a bump on a long ridge than the classic bell-shaped curve”. But the data suggests we may have already peaked. Until 2004, world oil production had risen continuously but thereafter reached and maintained a plateau all the way through to 2008. Then from July to August 2008, world production fell by almost one million barrels per day. It is still falling. According to BP’s Statistical Review of World Energy 2010, in 2009 world oil production was 2.6 percent below that in 2008 (falling 2 million barrels per day), and is now below 2004 levels — indicative of a gradually accelerating decline rate. This plateau in world production over half a decade is unprecedented and suggests we have already started on the “long ridge” whose overall trajectory, despite fluctuations, will be inexorably downwards. The outlook is likely to be worse, given that according to a new peer-reviewed study by the UK government’s former chief scientific adviser Sir David King in the journal Energy Policy, official estimates of world total oil reserves (including conventional, deepwater and unconventional resources) should be downgraded from 1,150-1,350 billion barrels to between 850-900 billion. Reserve size by itself matters only insofar as it practically translates into actual annual oil flows and rates of production. The problem, as noted by Australian peak oil analyst Matt Mushalik, is that “almost half of the current global oil production (45%) comes from a very narrow reserve base of just 190 gigabarrels (1,000 million barrels, or 1 billion barrels in US terminology) or around one fifth of the remaining reserves. It is depleting rapidly at a rate of around 7 % per annum with annual production declining consistently since 2002.” Remaining reserves, therefore, contribute to “little over half the global annual flows” and “at much lower production rates”, most likely because they “are not able to increase production”. Dallas petroleum geologist Jeffrey J. Brown’s Export Land Model projects a maximum of nine years between the time an oil-producer peaks and the reduction of its oil exports to zero. No wonder then that various experts warn we could see an actual oil supply crunch between 2012 and 2015, after which prices would rise inexorably as supplies drop and demand increases. The consensus is that this will be fuelled by industrial and population growth in emerging markets like China and India. Unfortunately, oil is not the only problem. Unconventional oil, coal, and natural gas may well be unable to compensate for the shortfall. For the first time, in 2005 ExxonMobil’s own world oil production forecast showed no contribution from ‘oil shale’ even by 2030. Similarly, the Hydrocarbon Depletion Study Group at Uppsala University in Sweden investigated the viability of a crash programme for the Canadian tar sands industry between 2006 and 2018, and up to 2050. It concluded that even adopting “a very optimistic scenario, Canada’s oil sands will not prevent Peak Oil”. Another study commissioned by the investor coalition Ceres warns that production costs, market instability and low energy return on investment (EROI), less than a third of conventional oil’s EROI, are endangering the viability of investments in unconventional oil. Of course, the Gulf oil spill has put to rest previously widespread (but misplaced) optimism about the potential of deepwater reserves, due to the moratorium on future deepwater exploration. In any case, even before the disaster, the data points to a sharply slowing and then flattening deepwater growth profile by 2011, amidst acceleration in the pace of deepwater decline. As Bob MacKnight, analyst at the Washington-based PFC Energy, thus concluded last year while talking to the Financial Times, “We are really approaching a peak production in deep water” and new discoveries will only “shallow the decline rather than move the peak”. The situation looks similar for the future of natural gas production. The interplay between prices and technological breakthroughs may permit deeper drilling of unconventional gas reserves for a longer period — 118 years at “current demand” according to one optimistic projection. But estimates of world demand project a massive 49 percent increase up to 2035 — fuelled again, particularly by China and India. According to former Total geologist Jean Laherrere, who has conducted one of the most comprehensive surveys of the available conventional and unconventional gas reserve and production data, global natural gas production will peak around 2025 — consistent with Canadian geologist David Hughes’ projection of peak gas arriving in 2027. As for coal supplies, an extensive study by the Energy Watch Group (EGW) warns that global coal production is likely to peak around 2025, at 30 percent above 2007 levels of production. US coal production in terms of energy will only remain at current levels for another 10–15 years. 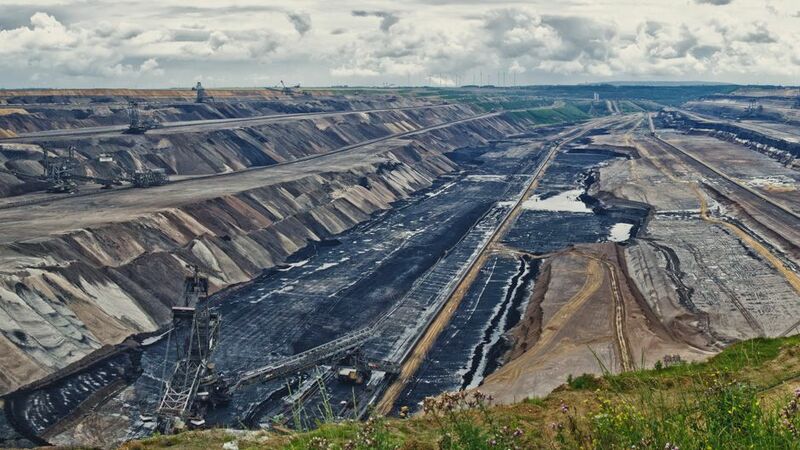 However, just this year the journal Science published a study predicting that world coal production from existing reserves could peak as early as 2011, and that it is “unlikely” future discoveries would ameliorate the decline. Although another element (thorium) has been advocated as a potential ‘magic bullet’ due to wide availability and potentially higher EROI, according to the Institute for Energy and Environmental Research in Washington DC, it still requires uranium to “kick-start” a nuclear chain reaction. Additionally, despite decades of research, no one has yet developed a commercially-viable thorium breeder fuel cycle, not even in India. The other problem is simply that the mining, transporting, refining, milling, waste reprocessing and construction processes of nuclear power are still heavily dependent on fossil fuels. Indeed, an extensive study published in the International Journal of Nuclear Governance, Economy and Ecology finds that nuclear power is simply not efficient enough to replace fossil fuels in any case, requiring nuclear production to increase by 10.5 per cent every year from 2010 to 2050 — an “unsustainable prospect”. The cumulative implications are unequivocal: industrial civilization faces multiple, converging shortages in the supply of energy across the spectrum of traditional hydrocarbon-linked reserves. These shortages are all likely to converge within the first quarter of this century. The exponential demographic, economic and technological growth associated with the birth and expansion of industrial civilization we have experienced for the last century or so has been tied indelibly to the seemingly unlimited availability of carbon-based energy. The neoliberal doctrine of unlimited growth, however, overlooks the finite reality of the earth’s resources. We now face the fact that our traditional resource-base for continued exponential industrial growth simply does not exist. This suggests that industrial civilization in its current form simply cannot survive this century. Given the scale of supply constraints across the spectrum of traditional energy sources, we may find it very difficult to scale-up a viable supply of energy to replace cheap, conventional oil in time to avoid the collapse of critical infrastructures. The converging complexity of major stresses including energy depletion, climate change, food insecurity, economic instability and violent conflict — combined with the increasingly obvious inability of states to keep up with and respond to these crises meaningfully – could create a perfect storm culminating in “synchronous failure”, leading to collapse. And a short-sighted reversion to traditional military solutions would more likely accelerate, rather than avoid, this collapse. The imperative, then, is to work toward facilitating a comprehensive transition to cleaner, renewable sources of energy; while doing our best to downsize our current levels of consumption and increase resilience. As study, after study, after study, after study have proven, the mix of technologies to achieve this transition already exist — a major impasse, of course, is how fast the process of transition could occur. Unfortunately, sheer social, political and technological inertia, if nothing else, could slow the transition process significantly (ecologist Vaclav Smil notes that historically, energy transitions have been a generations-long process). While we may be unable therefore to avoid catastrophic short-falls, these could be ameliorated by focusing efforts to radically reduce fossil fuel consumption through conservation and energy efficiency. The economic model of an ‘ideal-world’ 100 percent, post-carbon renewable energy system is still only theoretical, but it is clear that it cannot be based on exponential growth for its own sake. This speaks to a new post-carbon civilization based on greater consciousness of human-embeddedness in our natural environment; of the significance of mutual cooperation rather than self-seeking competition as an evolutionary imperative for species survival; and thus of less-materialistic values oriented around health, freedom, education, and well-being as central to sustainable prosperity. The 21st century may well signify the end of industrial civilization as we know it — but it also points to the unprecedented opportunity to envision, and work toward, a far more equitable, sustainable and harmonious post-carbon civilization. The great transition (beyond carbon) by Nafeez Mosaddeq Ahmed is licensed under a Creative Commons Attribution-NoDerivs 3.0 Unported License. Dr. Nafeez Mosaddeq Ahmed is Executive Director of the Institute for Policy Research & Development in London. His latest book is A User’s Guide to the Crisis of Civilisation: And How to Save It, which inspired the award-winning 2011 documentary feature film The Crisis of Civilization. Green Energy Tipping Point: Anytime Soon? Energy Descent from Peak Oil: Collapse or Evolution? If one takes this article at face value, or even if one, say, divides by half the urgency the author is stating, it is still a compelling argument for doing everything we can RIGHT NOW to prepare for a future that is a lot simpler in terms of energy throughputs and, consequently, lifestyle. Which focuses my mind on the benefits of supporting Japan’s Satoyama Initiative which happens to be rolling out in Nagoya next week. Japan’s traditional satoyama/satoumi lifeways have much to teach us about the very things this article concludes as being critical for the future: greater consciousness of human-embeddedness in our natural environment, the significance of mutual cooperation, and less-materialistic values. I think Japan can, and probably will, become the first developed country to embrace a widespread return to a reinvigorated, sustainable way of life for large numbers of people when the inevitable energy descent (and convergent other factors economic, resource and otherwise) become a reality in the not-so-distant future.